We are conveniently located in the center of the Miami & Ft. Lauderdale Metropolitan area. Whether you're in Miami or Ft. Lauderdale, you’re just minutes away from our central location. Our location is very near the action of the Gulfstream waters. There, Capt. 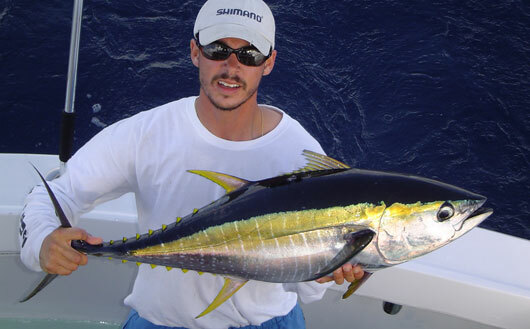 Rafael Mayans will take you on a once in a lifetime fishing experience where you will be trolling for marlin, sailfish, yellowfin tuna, blackfin tuna, dolphin (mahi-mahi) and wahoo too. Other methods of fishing such as drifting with live bait, jigging or anchoring the boat on one of the many South Florida wrecks and reefs. Once you arrive at the marina the Sea Cross will be steps away from where you park. Then, Capt. Alex Casais – the first mate of the Sea Cross – will start helping you onboard. Once aboard the Sea Cross your adventure begins. Capt. Alex is devoted to keeping your fishing trip aboard the Sea Cross as pleasant and safe as possible. He will also explain the gear and fishing techniques that we will be employed that day. When Capt. Rafael Mayans pilots the Sea Cross out of the marina, you will go directly to the fishing grounds of the Gulfstream and be ready to setup your first troll or drift with live baits. If you have any special requests, please don’t hesitate to ask Capt. Rafael Mayans - he will go above and beyond to make sure you have a fabulous time while fishing in South Florida. All are game fishing is done on light-tackle from sailfishing to swordfishing Sea Cross is fully loaded with all brand-new Penn, Daiwa, Newell and Shimano fishing tackle. We have two charter boats available for hire. The Sea Cross, a fully loaded and customized 36' Hatteras Sportfishing Yacht and the Sea Cross II, 45' Hatteras Sportfishing Yacht. Both boat are air-conditioned and fully loaded with top-of-the-line electronics, tackle and safety gear. 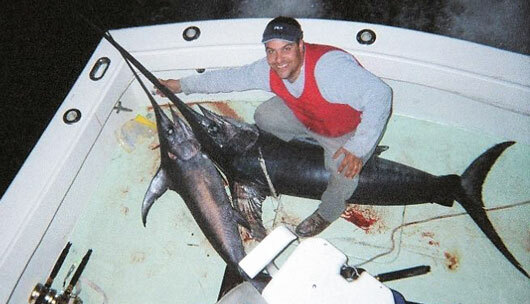 Nighttime sword fishing trips are also available aboard the Sea Cross for those who really like that big game action. Florida’s Southeast coast is one of the world’s best places to fish swordfish. Swordfish are available year-round in good numbers. 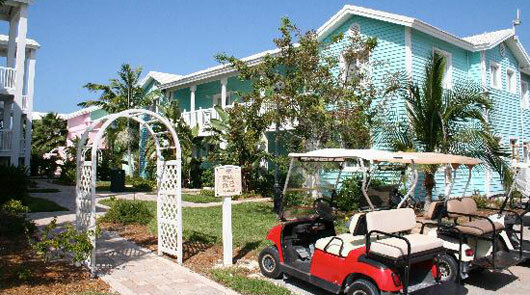 Just a two and a half hour cruise across the Gulfstream is the beautiful island of Bimini, Bahamas. Bimini is 42 nautical miles away, but it’s a world apart. There Capt. Rafael Mayans will put you on some of the hottest fishing you’ve ever experience. It’s true what they say, "It’s always better in the Bahamas". Learn more. So, when you’re ready for some serious fun, come fishing with the best aboard the Sea Cross! The crew of the Sea Cross take great pride in what they do, and it shows. **Bahamas trips require a two day minimum. We are conveniently located just minutes from anywhere in Miami or Ft. Lauderdale. Click the link below for a map and directions to our Haulover Marina location.